Amnesty International is one of the pioneers in the world of human rights organizations. Today it is considered as the most active and effective organization, with its considerable input towards the promotion of human rights, assistance to local human rights organizations, and cooperation with those countries aspiring to develop their human rights situations. In addition to monitoring the human rights situation across the globe, Amnesty is keen to interact and cooperate with the relevant countries by paying field visits and offering the appropriate advice and recommendations that could help improve human rights situations. The Bahraini Government welcomed two visits to the country, in May 2014 and January 2015, bya delegation from Amnesty,seeking to view and assess the human rights situation there, deliberate with the officials over issues of concern and offer the willingness to cooperate on both the official and civil levels. But despite the due respect and courtesy Bahrain extended to Amnesty, the latter, surprisingly, published its latest report entitled (Behind the Rhetoric: Human rights abuses in Bahrain continue unabated), which was characterised by unfamiliar harsh words, that was viewed by a number of concerned parties as bias, lacking in accuracy and does not do justice to the official endeavours to promote human rights. The report has also triggered negative responses from the local media and the official quarters, a fact the has prompted us to write this article to shed some light on Amnesty, its work, sphere of interests and mechanism, in the hope that it would enlighten the decision makers and those concerned, and would facilitate the prospects and growth of a positive relationship between the two sides. Most importantly, we hope that this article would enable us to understand Amnesty, its way of thinking and work mechanism; by the same token that we hope it would help the latter, when reporting, to have a better understanding of Bahrain and its social and political contours. 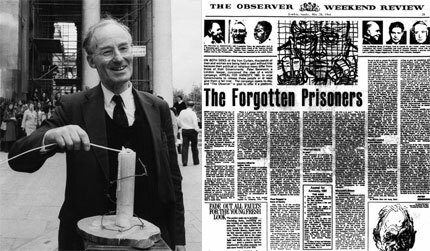 In May 1961, the British lawyer, Peter Benenson, wrote an article in The Observer newspaper entitled “forgotten prisoners” calling for the release of two Portuguese students jailed just for raising a toast to freedom.For that simple act, they were sentenced to seven years’ imprisonment.Reprinted in newspapers across the world, his call reverberated everywhere and launched a campaign that provoked an incredible response. The article,” The Forgotten Prisoners” called on people everywhere to protest – impartially and peacefully – against the imprisonment of men and women around the world for their political or religious beliefs.The feature described these detainees as “prisoners of conscience”. That was an inspiring moment. Within a month, more than a thousand readers had sent letters of support and practical help. They also sent details of similar cases of many more prisoners of conscience in different parts of the world. That was a historical moment. What had started as a brief publicity effort was being developed into a permanent, international movement. And thus Amnesty International was born. Within a year of Benenson’s article, the Portuguese military authorities were inundated with letters and condemnations from various parts of the world under the slogan “Appeal for Amnesty”. Within a year the new organization had sent delegations to four countries to make representations on behalf of prisoners and had taken up 210 cases. Its members had organized national bodies in seven countries. Since then, Amnesty International continued to expand on the ground, and today it has more than one million members and subscribers in over 140 countries.In 1977, the movement’s efforts were recognized through the award of the Nobel Peace Prize. In 1978, it was honoured with a United Nations (UN) Human Rights Award. * AI is a worldwide movement of people from many different cultures and backgrounds, with widely different beliefs who campaign for human rights. Its members give freely of their time and energy in solidarity with the victims of human rights violationsunder all kinds of governments, whether they are in the spotlight of media coverage or their suffering is ignored by the world at large.The Organization’s vision is for every person to enjoy all the rights enshrined in the Universal Declaration of Human Right? and other international human rights standards. * Even when dealing with atrocities on a massive scale, AI tries in its reports to cite individual victims and recount their experiences. These victims are not just statistics. They have names. They have dates of birth. They have histories. And each has a right to justice through amending policies and legislations to ensure the prevention of grave violations of the rights to physical and mental integrity, freedom of conscious and expression and freedom from discrimination. * Amnesty International classifies itself as impartial and independentof any government, political Ideology, economic interest or religion.It does not support or oppose any government or political system. Nor does it support or oppose the views of the prisoners whose rights it seeks to protect.To ensure its independence, AI does not seek or accept money from governments or political parties for its work in documenting and campaigning against human rights abuses. Its funding depends on the contributions of its worldwide membership and fundraising activities. *Amnesty International takes no position on the question of violence. It does not identify itself with any of the parties to a particular conflict, violent or non-violent, nor does it presume to judge in any situation whether recourse to violence is justified or not. It deliberately restricts itself to working for the protection of the human rights that fall within its mandate and does not comment or act on issues that fall outside those terms of reference. AI forms a global community of human rights defenders that includes tens of thousand ofinstitutions thatbelieve in the universality and indivisibility of human rights, and shares with them the principles of international solidarity, through mutual effective action and global coverage. 1- AI’s mission is to undertake research and action focused on preventing and ending grave abuses .It also publish periodic and annual reports, in addition, if need be, to “urgent action” and other memos. 2- Amnesty International is a global movement ofseven million people (members and supporters) from different parts of the world who campaign and coordinate their work and efforts towards various issues in all corners of the world, which means that its impact is great and its message reaches almost every country. Its members and supporters yield significant influence on governments, political entities, corporations and governmental and international institutions through different means that include correspo?dences and communications, media outlets, as well as mobilising public pressure in the forms of demonstrations and Sit-ins. Members are also required to lobby their own governments to take actions against human rights abuses in other countries. 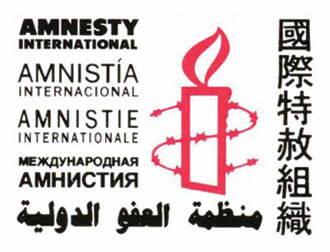 3- Amnesty work involves communicating withgovernments, sending missions to investigate human rights abuses and publicise them, publish country reports and urge governments to ratify and abide by the international conventions on human rights. 4- Undertake Human rights education and promote human rights culture through spreading awareness and understanding of the full range of human rightsand equipping people with the knowledge, attitudes, behaviour and skills necessary to respect and defend those rights. - Dispatch experts to interview abuse victims. - Communicate with local human rights activists in the country in question. - Monitor local and d International media. - Release information on particular cases to the media. - Make use of bulletins, posters, advertisements, newsletters and social media to publicise issues of concern. - Mobilise public pressure and launch letter- writing campaigns directed at the concerned officials. - Send appeals to influential figures in the targeted country. - Cooperate with students’ and other unions and associations. 6- Amnesty carries out regular assessment exercises on the impact of its work to help improve its efficiency through developing and applying different systems and methodologies. One of the aspects of such an assessment is to subject itself to accountability before abuse victims in order to gauge the best means that would enable it to respond to the challenges ahead.